How will history judge the Trump presidency? In the October issue of Vanity Fair magazine, scholars attempt to answer that question, in six trenchant essays. Last summer I had the pleasure of illustrating one of those essays, called Powers of Separation by Robert Dallek. 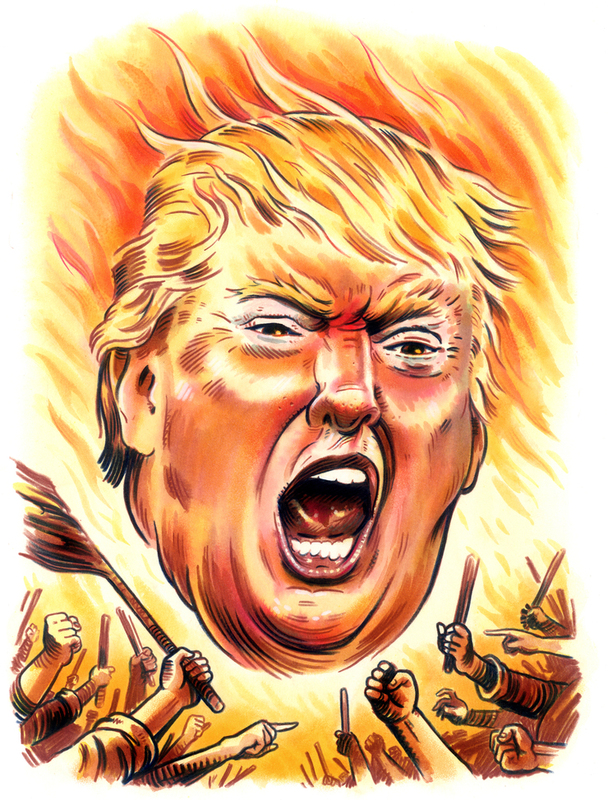 The day after I turned in the final art, the Unite the Right rally in Charlottesville almost made it seem like this illustration was coming horribly to life.